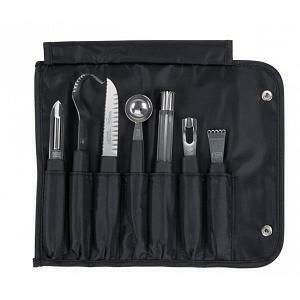 This garnishing tool kit from Victorinox includes a vegetable peeler, decorating knife, fruit decorator, melon baller, channel knife, lemon zester, and a canvas roll for storage. 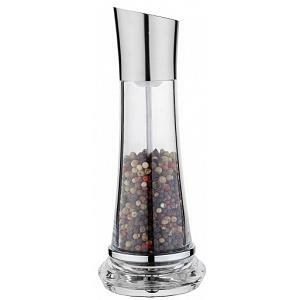 The tools feature comfortable and slip-resistant handles and are made from high carbon stainless steel to provide maximum sharpness and edge retention. 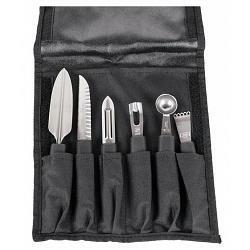 The garnishing tools are made Germany and have a lifetime warranty.